Learn about tennis strings, read reviews and check out the best strings brands on the market. https://tenniscompanion.org/wp-content/uploads/2014/06/how-often-should-i-change-or-replace-my-tennis-racquet-strings.jpg 300 720 TennisCompanion https://tenniscompanion.org/wp-content/uploads/2013/06/tennis-companion-logo9.png TennisCompanion2019-03-13 20:22:442019-03-13 20:52:03How Often Should I Change or Replace My Tennis Racquet Strings? Often overlooked and under-appreciated, tennis strings are the unsung hero of gear in the world of tennis gear. 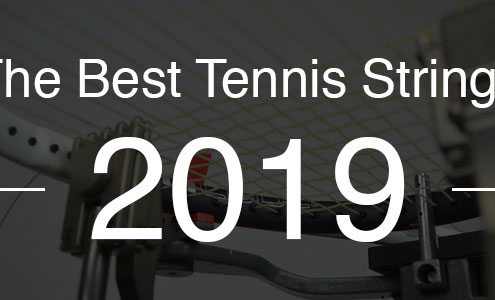 While there’s no doubt that tennis racquets are typically the primary focus, tennis strings and the tension which you string them at can have huge implications on a players game. So why is it that emphasis on tennis strings falls to the wayside? For one, there tends to be significantly less marketing emphasis placed on strings by manufacturers in comparison to other products such as racquets and shoes. As a result, tennis strings receive significantly less exposure than other tennis gear. However, beyond general awareness, knowledge surrounding tennis string tends to be lacking and there are very few places tennis players can go to learn more about tennis strings and how it impacts their ability to perform. The good news is that learning about tennis string isn’t all that complex. Let’s take a look at some of the aspects of tennis strings that players should consider. Without a doubt, the easiest place to start is with the different types of tennis strings. Generally speaking, tennis string can be classified into two major groups based on the materials which are used to create them: natural gut and synthetic. Natural gut strings, which are made from cow gut, are the original tennis strings and considered by many to be the highest quality tennis string. They tend to provide great playability and feel, however due to their high cost and lack of durability, natural gut strings are rarely used by recreational and even the majority of competitive players. On the other hand, synthetic tennis strings provide players with a wide range of options. 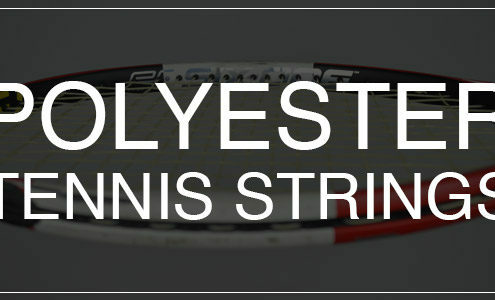 Through the use of various materials including nylon, polyester and kevlar, players can easily find a great set of strings that are durable and significantly less expensive than natural gut. Whichever strings a player selects can depend on a wide variety of factors including their level, frequency of play, style of play, personal preferences and even whether they suffer from arm injuries. Check out our article on the different types of tennis string to learn more about strings and find the best strings for you. Another element of tennis strings to consider is the gauge or thickness of the tennis string. As with most aspects of tennis string, the gauge can also have a significant impact on overall performance. Here’s a look at the different gauge of strings available today. 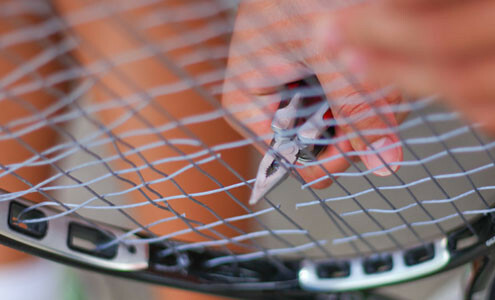 Thicker strings will provide players with more durability, while thinner strings will typically provide players with greater potential for spin, due to the fact that the strings have more “bite” when coming in contact with a tennis ball. Even after selecting strings it’s important to consider the tension in which to string our racquets. Thankfully racquet manufactures do much of the work for us by providing a recommended range to string any given racquet. However within this range, typically 5 – 10 lbs, players will experience significant difference in overall feel. Players can string their racquet a few pounds looser to generate some additional power or a bit tighter to give themselves slightly more control when hitting. Additionally, the overall feel of a racquet changes as the tension changes. Racquets tend to feel more loose or soft when strings are strung at lower tensions, while racquets that are strung at a higher tension will tend to feel more stiff. Experimenting with different tensions to find the best fit for you is highly recommended. If you’re in search of the very best tennis strings then it’s important not fall into the trap of using one string because another player is in love with it. The reality is everyone is different and what works for one person or what feels great to another person may not work or make sense for you. With that said, you should learn as much as you can about tennis strings, carefully consider the different aspects and make a decision based on your goals as well as your style and frequency of play. Most importantly, you should test different strings so you can gain a point of reference for what you like and what you don’t like. Of course, that’s not to say you should completely ignore what others have to say. Tennis string reviews and feedback from coaches or friends can be great information. Just be sure to make a decision armed with the right information, which will ultimately mean finding the best tennis strings for you. One of the most common questions asked about tennis strings is, “how often should they be replaced?” It’s a great question and one that isn’t given much consideration by most players. Rather, it’s common for players to see how long their strings will last. Some players even have a sense of pride when they tell people that their strings have lasted for over a year! The truth is, strings wear down from play, lose their elasticity and tension and as they continue to wear, you risk breaking a string mid play and losing a point. Over the years I’ve found that the most common reason players don’t want to restring their racquet is that it costs money, which is understandable. However, costs aside, any player that’s serious about improving their game and competes on a regular basis should be monitoring the health of their strings. In tennis, there are a host of different variables that you can’t control during a match. The brightness and direction of the sun, the strength of the wind and the temperature to name a few. As a result, it pays for players to ensure they take the reigns and control the variables that they have the ability to and there’s no doubt changing strings is one of those variables. The best part is that you’ll automatically have an advantage over most other players who don’t take the time to ensure they’re properly equipped.